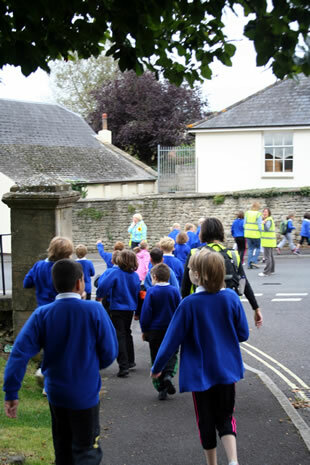 A sponsored walk organised by staff at the Wincanton Primary School and completed by their 270 pupils, has raised over £2,000 for St Margaret's Hospice. Mrs Mary Robinson, Deputy Manager of the St Margaret's Charity shop in the High Street, has children at the school and earlier this year she decided to try to enlist the support of the staff and children at the school. 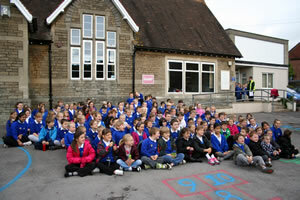 Headmaster, Graeme Wilson, was keen to help and suggested a sponsored walk. "It was a wonderful experience walking around the town with so many enthusiastic children. The support from both staff and parents was outstanding on the day and the generosity shown towards the Hospice is amazing. 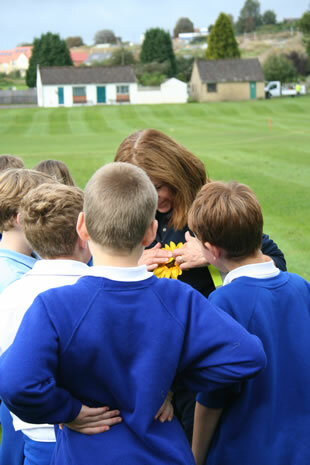 "The pupils were dedicated in their efforts to gain sponsorship and demonstrated stamina and commitment in completing the walk. Their staff, parents and members of their extended families can be justifiably proud of their tremendous achievements. What a team! Thank you so much from everyone involved with St Margaret's Hospice." If you would like to find out more about St Margaret's Hospice, please visit www.st-margarets-hospice.org.uk.